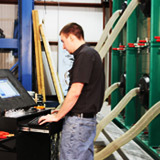 Our solutions help clients develop cost-effective products and construction techniques. The building code environment is becoming ever more complex, stringent, and costly and the expectations for home performance are greater than ever. Solving one problem – such as improving energy efficiency – can breed a new one – such as excessive moisture in the home or potentially lower structural performance. By methodically evaluating the home as a complex, integrated, and dynamic engineering system, we help product manufacturers and builders transform building science problems into cost-effective and marketable products and homes. Whether it is improving energy efficiency or enhancing a home’s durability, our building science expertise, and testing and evaluation techniques can help you tackle your building science issues, demonstrate code compliance, and avoid product failures. We can scientifically evaluate the factors that will influence the success of your product or technology – from usability to installation – and help correct problems or make improvements before product launch. Cost-effective compliance with the complex and stringent energy codes requires an integrated solution tailored to your specific climate region. Our engineers can help you improve the energy performance of your homes without pushing your buyers beyond their financial means. 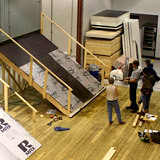 We help product manufacturers and trade associations overcome barriers to industry acceptance of new building products, techniques, and technologies by developing the tools necessary to make it to the mainstream. 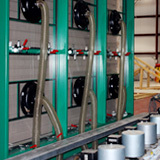 The building code presents a daunting challenge for product manufacturers as the new product approval process is complex and costly. We can help you navigate it successfully.